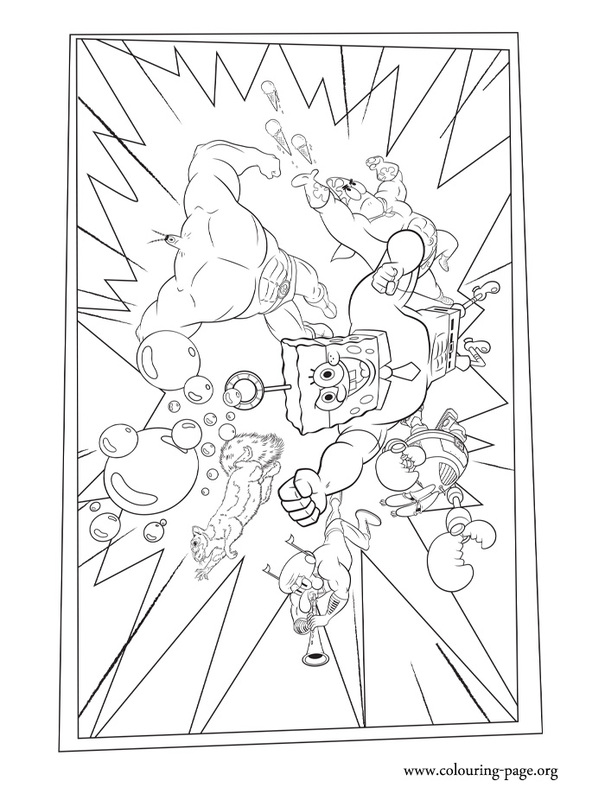 Print and color this amazing The SpongeBob movie coloring page. Here is the superhero SpongeBob team. Have fun coloring!